When I first moved to Dallas in 1975 the boundaries of “diversity” were defined by the triumvirate of Anglos, African-Americans, and Latinos. As in many other Sunbelt cities, the greater Dallas area is now checkered with vibrant communities of Asian and African immigrants, but Dallas was not a significant destination for immigrations of the early 20th century that produced full-blown, self-contained communities of Italian, Greek, Jewish, Polish and Russian and other European immigrants in cities from Boston to Chicago to Baltimore. 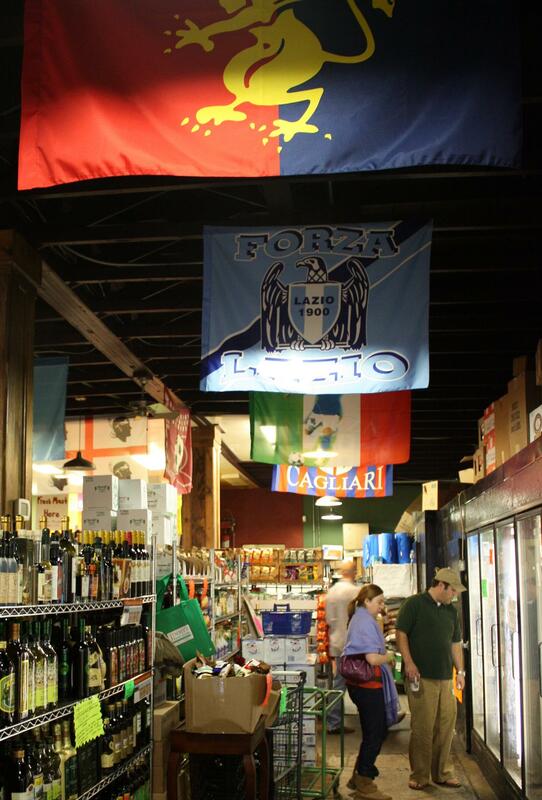 The DiCarlo family has been in the grocery business in Dallas since the 1940’s and operating at its current location since 1966, but it wasn’t recast as an Italian grocery until 1977. A devastating fire in 2004 left it operating out of temporary location for more than a year, but it was back better than ever in time for the 2005 holiday season. A few fire-damaged, embossed tin ceiling tiles and roof support timbers are part of the new structure and a constant visible reminder of the close call. Unlike its cousins in the Northeast and Midwest, which tend to specialize in Italian foods from the regions of Italy most prominently represented in each of their cities, Jimmy’s draws on traditions from the entire spectrum of the Italian-American experience and continues to renew them with current offerings from the old country. Here exotic and colorfully packaged products, Italian soccer club flags, tantalizing aromas, and the music of Italy and Italian-American artists overwhelm the senses. 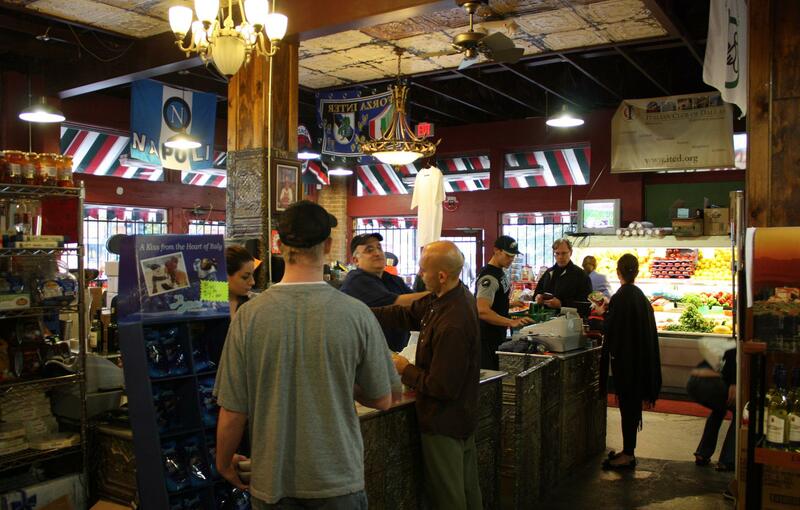 No Italian grocery would be complete without a specialty meat market. 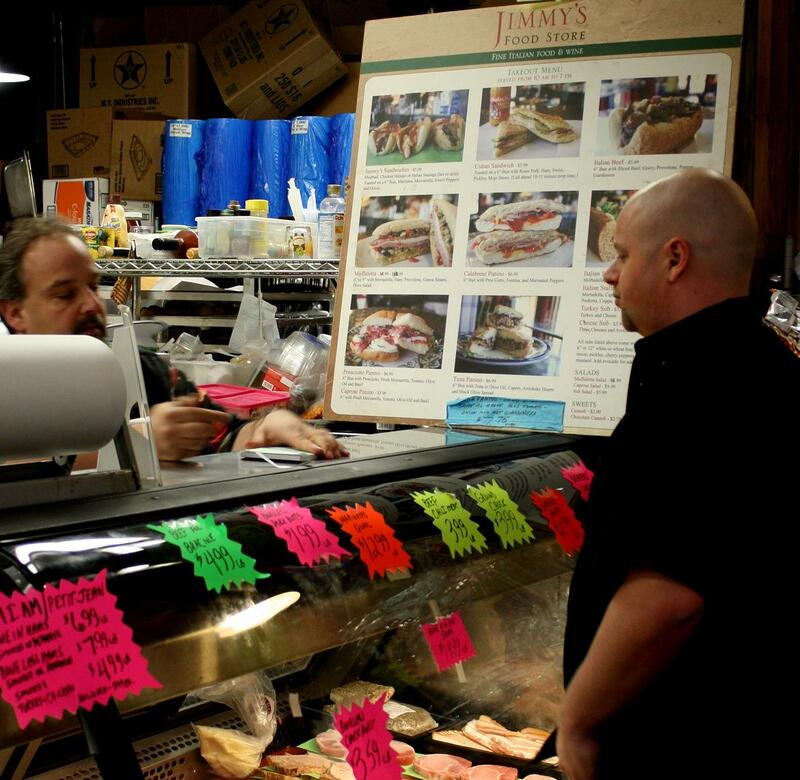 At Jimmy’s it’s also the heart and soul of a deli business that draws devotees of made-to-order sandwiches with names like Italian Beef, Caprese/Prosciutto/Calabrese Panini, and Italian Stallion. 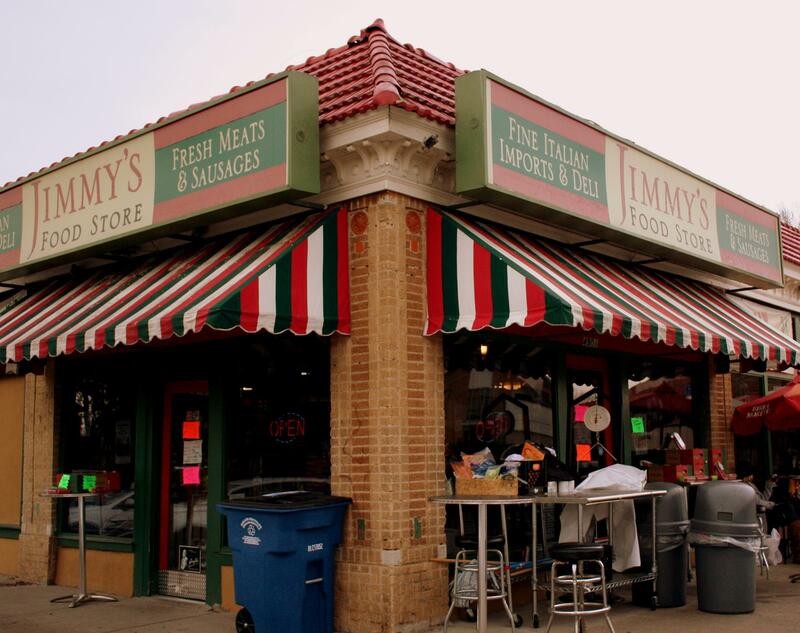 (Jimmy’s also makes killer Muffaletta and Cuban sandwiches.) You can eat them at tables right there in the store for a genuine deli experience or – weather permitting – under umbrellas at sidewalk tables. Pick your beverage from a 50-foot long bank of coolers that includes alcoholic and non-alcoholic imports as well as old time soda pop favorites. On weekdays, downtown workers make the short drive for an out-of-the-ordinary lunch. 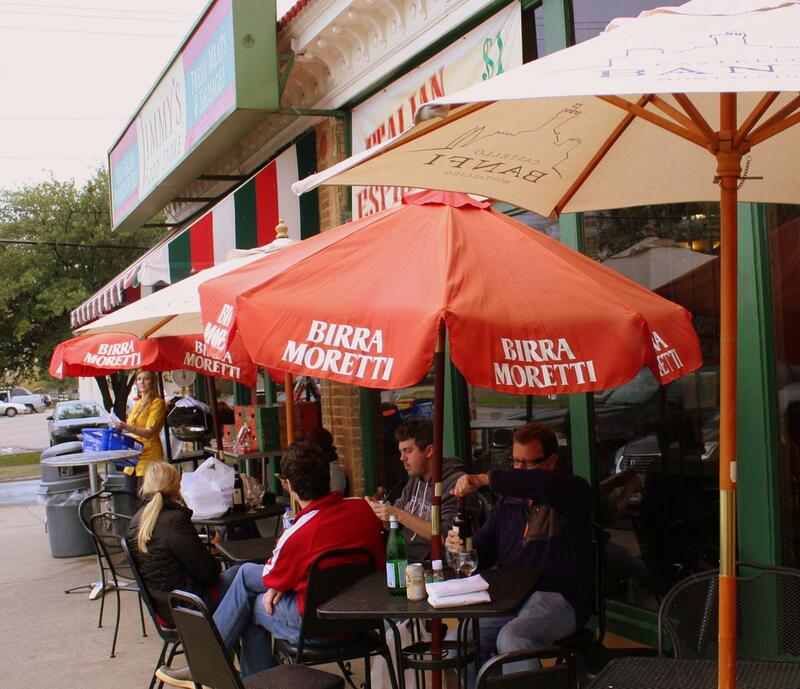 On Saturdays the store is packed with Italian Americans and others from the suburbs seeking their Italian fix, and the people-watching is almost as entertaining as the experience of the store itself. Jimmy’s stocks only Italian wines and the selection is so large that it’s easy to find available-nowhere-else varieties. 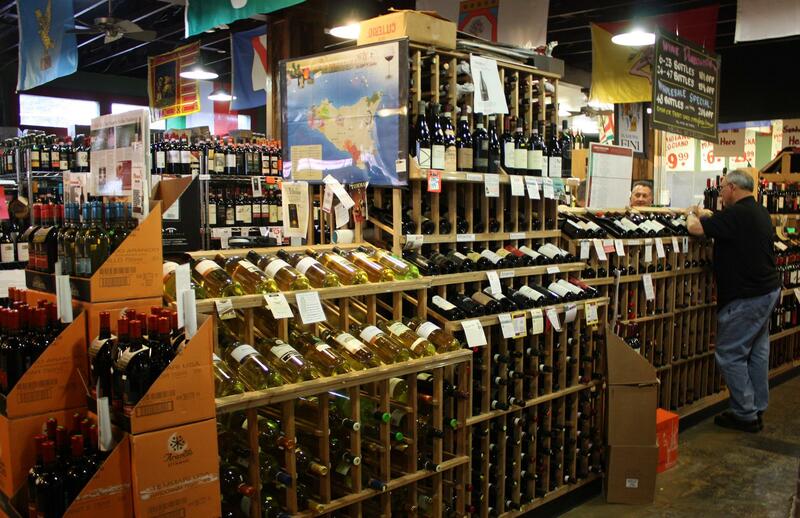 There are free wine tastings every Saturday afternoon and monthly paid wine tastings. So if you’re looking for an authentic taste of Italy in Dallas, Jimmy’s is a must-do. Great read. These places are so few and far between. I love discovering them too! There’s nothing that brings back fond memories like foods from our childhoods! I went to Jimmy’s today, wrote a blog entry and did a search for other’s – and found yours. Nice job – very interesting slant. Thanks, Bill. Guess you could say the Jimmy’s kind of invented its own roots!